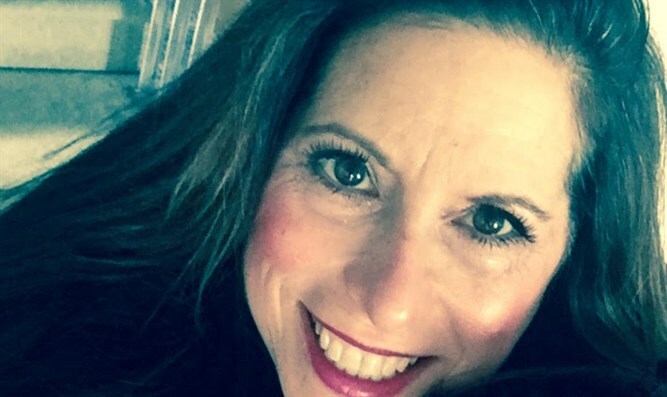 Cindy Grosz is an award-winning pro-Israel and Education activist. She works on exposing corruption in schools, improving oversight on classroom curriculum and ending anti-Semitism in education situations. She also helps educators fight discrimination in the hiring and firing practices of school staff. Within hours one morning last week, I was bombarded with inquires regarding a comment from DeSantis. I was also asked about several protests being organized against Zeldin. This is an attempt to bring down two of the United States's most upcoming, gifted politicians of any party. I find it offensive, since I know them both and know this is simply untrue. Here is the breaking news.....Ron DeSantis is not a racist, but Ron DeSantis is a carnivore. That's right, he likes to eat meat, even kosher meat. How do I know, because over the past year, I have been with Congressman Ron DeSantis of Florida, the current gubernatorial candidate at many Pro-Israel and Jewish organization events. I could always find Ron near a carving station or a serving tray with little franks wrapped in phyllo dough. He always eats very quickly because person after person grabs him for a conversation regarding his involvements on the Committees on Foreign Affairs and Judiciary, his chairmanship of the Subcommittee on National Affairs, his military service and even his appearances on Fox News. He listens and interacts with everyone, regardless of religion, age and yes, color. Why was he suddenly called a racist? DeSantis made the following comments on a morning interview on "America's Newsroom," a Fox show, the cable channel preferred by Republicans and Conservatives. “Florida elections are always competitive, and this is a guy who although he’s much too liberal for Florida, I think he’s got huge problems with how he’s governed Tallahassee, he is an articulate spokesman for these far left views, and he’s a charismatic candidate." “I watched those Democrat debates and none of that is my cup of tea but he performed better than the other people there so we’ve got to work hard so that we continue Florida going in a good direction. Let’s build off the success we’ve had with Governor Scott. This is not rocket science. Google monkey idioms and their meanings. Check out expressions like monkey see, monkey do, or monkey business, and monkey around. Nothing about an individual, nothing about someone's race, age or gender. However, DeSantis just won the Florida gubernatorial primary. And word definition history was made. DeSantis was obviously talking about Florida not making the wrong decision to embrace the socialist policies that Andrew Gillum, the anti-Semitic, self-hating Jewish Bernie Sanders protege is running on. He never mentioned his opponent. To characterize it as anything else is absurd. Florida’s economy has been on the move for the last eight years under close DeSantis ally Rick Scott and the last thing Florida needs is a far-left Democrat trying to stop success. Gillum can't run on his record of failing leadership as mayor of Tallahassee or an FBI corruption investigation. Attacking Ron DeSantis's character is his attempt to win. Someone close to Congressman Lee Zeldin, the senior Jewish Republican Congressman, called to tell me that tumors were shared around his district that he was an anti-Semite. Someone close to Congressman Lee Zeldin, the senior Jewish Republican Congressman, called to tell me that tumors were shared around his district that he was an anti-Semite. Looking further into the situation, I learned that this was coming out of the mouths of Jews. Breaking news..... I know that when Zeldin was first elected to the House of Representatives, one of the first things he did was contact many of the country's Jewish leaders and tell them that they have an activist on the Hill. He has never let them down. I also know Lee's family has ties to Chabad. He is a member of the Jewish War Veterans in the United States and a fan of the IDF. Hold local elected officials to account - If politicians are going to enable the "immoral agenda of the Trump administration and the Republican Party, we’re going to hold them accountable. And we won’t hesitate to replace them." "Win local progressive victories - We have a long-term vision of what this country can be, and we’re mobilizing in cities and states across the country to win progressive legislation and policies, like criminal justice reform and economic equity." Lee Zeldin is their number one target, and they are busy spreading hate and distortions of what Jewish values are because he supports the Israeli policies of the current administration. Zeldin's opponent has little to do with the district. He is a Park Avenue Wall Street millionaire running on a progressive platform. Perry Gershon is endorsed by J Street, likes the Iran Deal and supports a two-state solution. Talk about a conflicted Jew. From Bend the Arc: "Lee Zeldin has been one of Trump's greatest enablers in Congress, voting in lockstep with him 85.7% of the time. He has targeted immigrants as a tactic for campaigning and proudly invited avowed white supremacist Steve Bannon to fundraise for him." "We're mobilizing constituents of NY-1 and nearby supporters who deserve a Member of Congress that will stand up for ALL their constituents — including immigrants, Muslims, people of color, and more. "I am a senior citizen and as a child, I can remember my father in tears when he could not get visas for his family even though he was a U.S. citizen himself,” said Judith Wishnia, also a Bend the Arc: New York member from Setauket. “The U.S. did not welcome Jews fleeing Hitler and so instead my father’s family was massacred - locked in a synagogue which was set on fire. We now have a quasi-president, Steve Bannon, who has promoted racist, anti-semitic and anti-Muslim ideas, and who is behind this Muslim ban. How can Zeldin support these policies? He owes us an explanation.”"
I know Zeldin over many years. Zeldin headlined a Stop Iran Deal event I hosted in 2015. I stood with the Congressman on Election Night 2016, when Zeldin was re-elected and the night Donald J. Trump won the presidency. Zeldin has crossed the aisle to co-sponsor many pieces of successful legislation supporting Israel, American Jewish issues and fighting Radical Islamic Terrorism. Coincidentally, I attended the Embassy Opening and the many ceremonies around it with both Congressmen Ron DeSantis and Lee Zeldin. Simple--They both are young, under 40-years-old, veterans, contributors on Fox News and both are extremely close with President Trump. 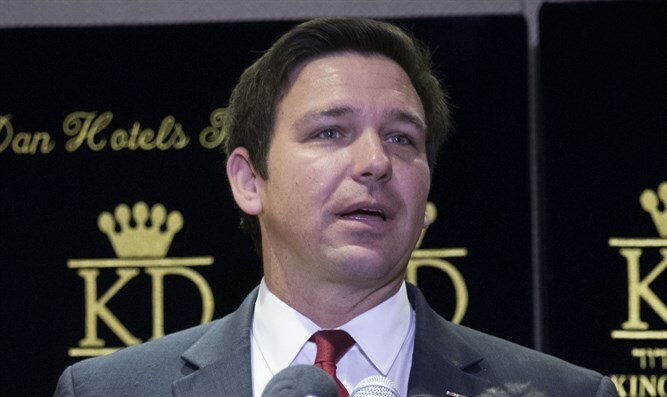 Believe me, if Ron DeSantis was Jewish, he would be called an anti-Semite too. The are both looked at as future presidential candidates and both are internationally recognized. Let's do everything we can to elect these Pro-Israel activists and call out their opponents for what they are - liars.